This article was written by Jess Bess, published on 29th September 2015 and has been read 3263 times. 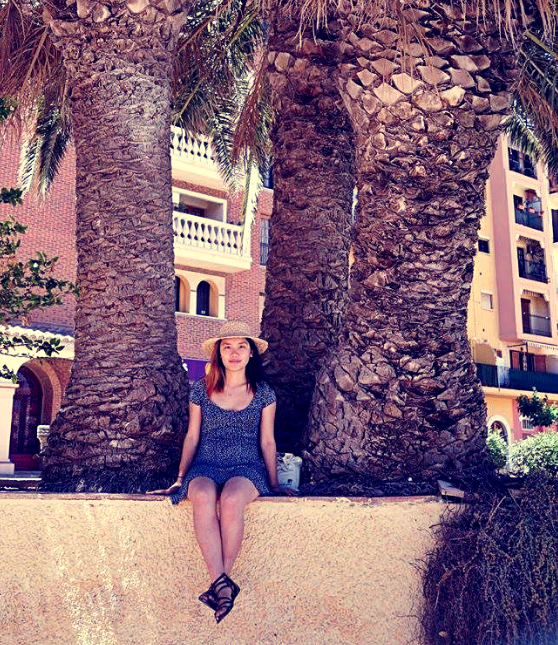 Jess studies Economics and Spanish at the University of Leeds and spent her year abroad teaching English at the University of Valencia, which she documented on her blog and her YouTube channel. 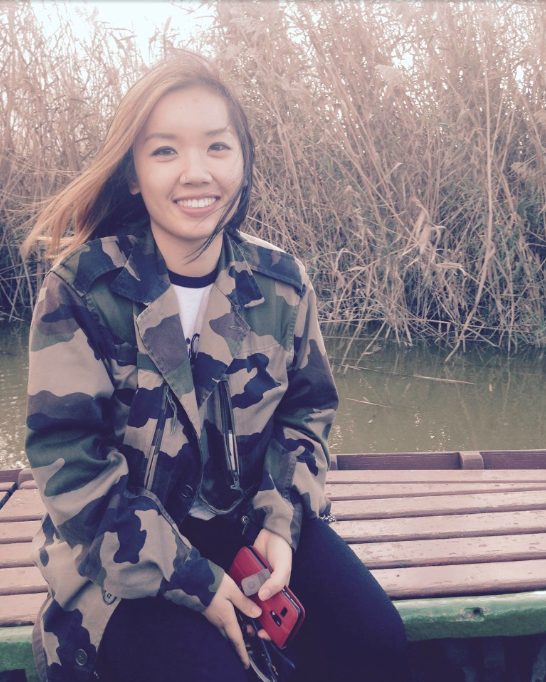 Here&apos;s why she thinks you should head to Valencia for your year abroad! Valencia? Where&apos;s that? Most people have never heard of Valencia before and they can&apos;t be blamed. Overshadowed by buzzing Barcelona and enchanting Madrid, it&apos;s no surprise that Spain&apos;s third city doesn&apos;t get much notice. However this goes undeservingly. Home to the glorious paella - one of Spain&apos;s most famous culinary dishes - as well as home to a collection of swanky futuristic buildings as seen in George Clooney&apos;s latest film, Tomorrowland, Valencia has a lot to offer. As mentioned, Valencia is home to the world famous paella and if good food won&apos;t draw you to a place, I don&apos;t know what will. Undoubtedly you will experience some of the best paella here, specifically in Albufera, but Valencia has even more to offer with horchata (or oxchata in Valenciano) being a new delight for first comers to the city. It&apos;s said to have originated from Alboraya, Valencia and consists of tiger nuts or &apos;chufa&apos;, typically eaten with yummy soft doughy pastry called fartons (insert joke about fartons here). From my trip to Alfubera, to sample the best paella in Valencia! If you do plan on coming to Valencia, I recommend you going around mid March during Fallas. If you&apos;ve never been to a Spanish festival it will truly knock your socks off and even if you have been to one before, you won&apos;t have ever experienced anything quite like it! In Valencia, Christmas and New Year celebrations are rather dull, with not much really going on. However this is compensated during Las Fallas by a spectacular show stopper that lasts for around a week. When I was working in Spain I actually had the whole week off. It was great - just shows how important this festival is to the city! So what is Las Fallas? Traditionally speaking, Las Fallas marks the new season of spring; people used to do a spring clean in their houses but instead of just dumping the clutter, they&apos;d burn it. 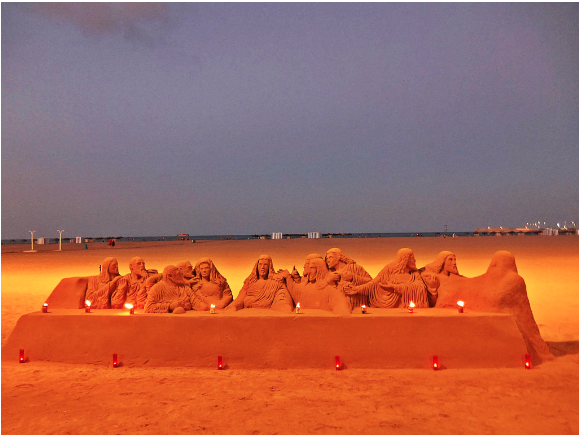 Flash forward to current times and Spanish people are making their own sculptures to be burnt. These artists dedicate the whole year in building, decorating and painting &apos;la falla&apos; which often depicts a satirical standpoint on a politician, celebrity or public figure in all of the fun spirit of the festival, only later on for it to be burnt. Sounds bizarre doesn&apos;t it? Looking for a beach city getaway but know that the beaches in Barcelona don&apos;t quite cut it and feel that Madrid is lacking due to being geographically located inland? Well Valencia is perfectly located on Spain&apos;s Eastern coast with the beaches conveniently accessible via tram or metro from the city. The city beaches located in El Cabanyal, Las Arenas and Malvarrosa are all blue flag beaches but be warned that they can get quite busy during tourist season. For those that don&apos;t mind travelling a bit further and ideally have a car, there are many more beaches on the outskirts such as El Perellonet and El Saler. With the whole East coast to choose from, you&apos;ll be spoilt for choice! From the Baroque and Gothic historical monuments to the funky Bohemian street art plastered over the walls of Ruzafa, look no further if you&apos;re looking for a beautiful city to feast your eyes on. 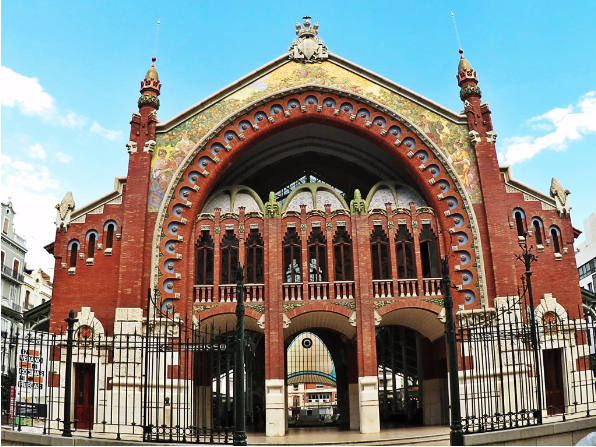 If you&apos;re looking to explore the historic centre, my favourite places to visit are: The Colon Market (gorgeous building and actually a national monument), The Central Market (one of Europe&apos;s largest markets), Quart and Serrano Towers (quite a lot of stairs to get up, mind you) and Plaza de Virgen and the Cathedral Quarter. For something more modern, head down to City of Arts and Sciences, an incredible complex of (yes you guessed it) arts and science entertainment ranging from Europe&apos;s largest aquarium, Oceanogràfic to the interactive science and technology museum, Principe Felipe Science Museum. If that doesn&apos;t persuade you, perhaps the fact that George Clooney filmed there might do it for you. I personally have never been there, but Umbracle, a swanky open plan garden decorated with statues and sculptures which is open for night events, is recommended. For more of an alternative scene, I suggest that you visit neighbourhoods of Ruzafa or Benimaclet. 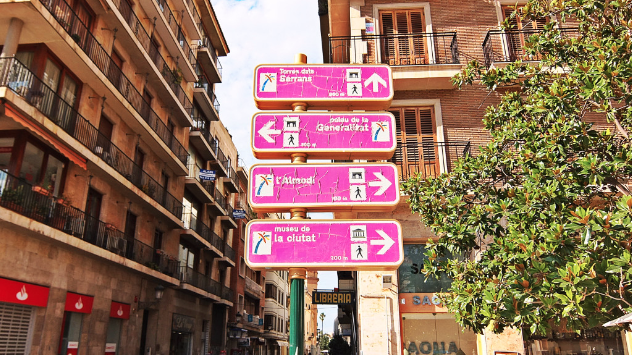 During my time in Valencia, I lived in Benimaclet and I loved the local events that were always on (and free too) including the Swing Band performances and Improvisation Stand Up Comedy nights. If you are around Benimaclet, make sure you check out Benimaclet Entra on Facebook to see if there are any local events that take your fancy. Unlike grim England, Valencia is full of light shine and is a nice change of scenery. However Valencia is a very humid city so I&apos;d recommend to come before August if possible because during August, it&apos;s like living in an sweltering oven. I made the mistake of staying for almost the whole month of August and trust me, you don&apos;t want to go there. In addition, Valencia is pretty much dead during August as many families go back to their hometowns such as Cullera to spend the summer there. So there you have it, my 5 reasons to come to Valencia.